When: Friday, November 28 – Monday December 1 | Doors & Shopping Specials: 9:30 a.m. | Doors Close: 6:00 p.m. Beat the lines and get out on the slopes or trails with the best deals this Black Friday Weekend at Tahoe Mountain Sports! Don’t miss out on the best selection of top outdoor items for the holidays from your local backcountry gear headquarters: Tahoe Mountain Sports conveniently located in the Safeway Shopping Center in Truckee, CA. Pick up some fashionable clothing, multi-purpose footwear, or choose from the best mountain accessories in the region. 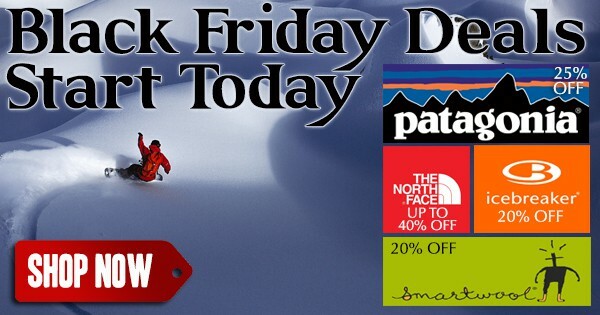 Black Friday and Cyber Monday are back at Tahoe Mountain Sports and so is our killer Patagonia Sale! All online sales end at Midnight (PST) and all in-store sales end at 6:00 p.m. (PST) on December 1, 2014! – Get up to 25% off your favorite Patagonia clothes, like Patagonia Down Sweaters, Nano Puffs and Nano Airs. – All of the above sales also apply in-store! – Surprise specials will be unleashed all weekend long! 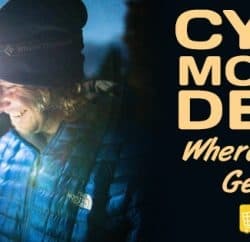 Tahoe Mountain Sports has the best Black Friday and Cyber Monday sale around, so don’t miss it. Now is the time to shop for winter! All deals expire at the end of the day on December 1st.